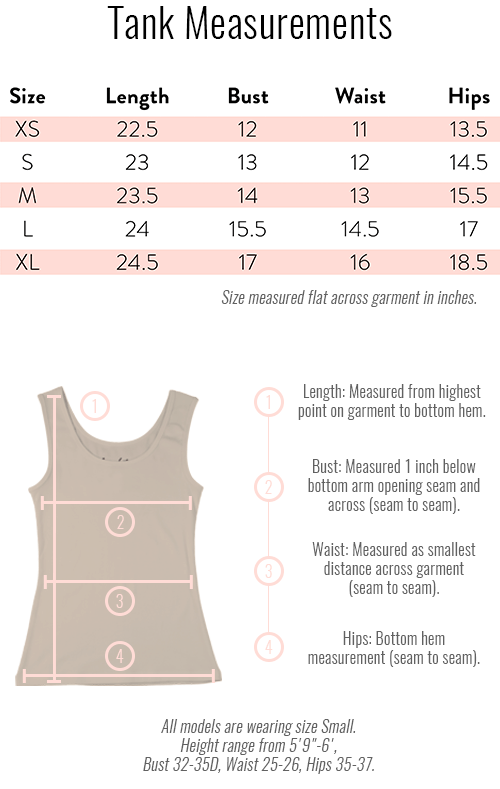 Our tank fit is "just long enough" and contoured at the waist and hips to provide the perfect fit across a broad range of body types. Too much of what we buy falls apart, but Foundation tanks are built...like tanks...to last. If you find a workmanship issue, just send a picture and we'll replace it.